This is my first Thursday Things of the new year!! Goodness, and here it is half way to February! I hope everyone has had a lot of things to like about this previous week. I would hope that you would join me in thinking of five things each week that you liked. Even if you don’t put them in a blog post or anything, I think that even just looking back over the week and picking out five good things will do wonders. 🙂 So, here’s what I liked about this past week! Ok, I bought these as a last minute thing…and woah… I am so glad I did, lol. They are so yummy! There aren’t that many in a box and they don’t last very long in our house. 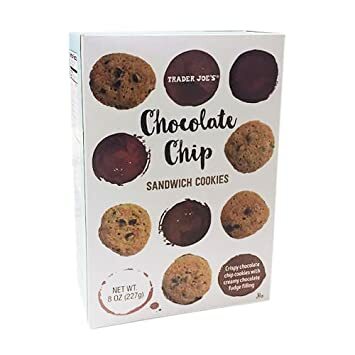 I didn’t share at first but then I had Ryan try them and then Jeffy tried them….well, I need to go back to Trader Joe’s, lol. This song is from like…2013, but it played quite a bit this week. It is so catchy and I love it. I love rediscovering old favorites.